One of the key mechanical changes proposed for supercapitals in the upcoming expansion is the loss of their immunity to electronic warfare. In this piece, I’ll be looking at one aspect of that change: the ability to tackle ships that are currently immune to conventional warp disruptors and scramblers. The current proposal is to have warp disruptors ‘stack up’ until they have enough to effectively tackle the target. The discussion presently revolves around at how many disruptor ‘points’ you’ll need to tackle various ships. Thus far, proposals in the focus group have been 50 for titans, and 20 for supercarriers. Admittedly, I wasn’t part of that discussion myself. Simply put, if the numbers are too low, supers become much easier to pin down without the need for pre-planning, and the difference in the ability of supers and normal capitals to evade tackle becomes negligible. 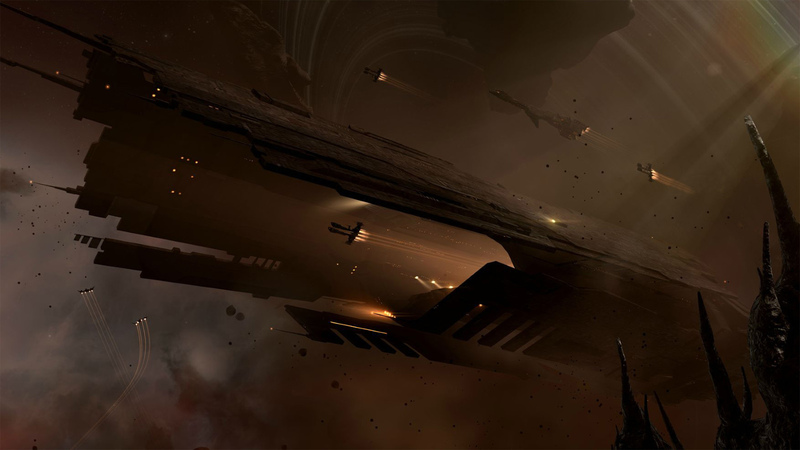 A large part of successful supercapital combat comes from being unpredictable; for example, dropping a Nyx on an enemy fleet that didn’t think to bring HICs just in case. The proposed changes are great, and would allow that fleet to offer some form of threat to the super, but this needs to be carefully balanced. Too much risk will discourage people from using supers, while too little risk will maintain the status quo of needing HICs to tackle supers, rendering the proposed changes pointless. What we’re looking at here on a basic level is, how big should a fleet need to be in order to tackle a super they’re not expecting (and thus not necessarily prepared for)? The easier it is, the greater the risk on behalf of the super pilot (and a greater deterrent for their use). As with many things in EVE, this comes down to risks and benefits. I’ve seen a few instances of this suggestion popping up. Ultimately, if you were to fit a Scorpion like that, you’d be attempting to tackle a super with it, which means it is something you’re expecting… which means you’d use a HIC. “But what about a bait Scorpion with 8 scrams?” Sorry, you’re out of luck – most supers who would die to this would be being baited at the time. If this change goes through, super pilots will be well aware that the ‘ScramScorp’ thing might happen, and would simply treat it as a HIC. For the job of initial tackle, a HIC is better in every way. It warps faster, travels more easily (through gatecamps, etc. ), and can move more quickly once it’s on grid (cruiser hull + MWD). So, nobody who actually knows anything about hunting supers is going to fit an 8x Scram Scorp. It’s a straw man, a farce, an impractical extreme. Balancing supercapital warp strength based on that becoming a meta is simply moronic. Do you think normal capitals should have any inherent WCS strength? No. Part of capital combat is managing risk/reward. Part of the risk arises from how easy it is to hold tackle on you. Adding warp core stabilization strength at almost any level to normal capitals would make them much more slippery in the absence of bubbles and more difficult to gain initial tackle. Being harder to tackle means less content, and where there’s less content, fewer ships die. Fewer ships dying is bad for EVE and its players. How do you think scrams should affect capital MWDs and why? I’d propose giving capital MWD’s their own ‘Core Stabilisation’ attribute, which if exceeded would result in the module being turned off immediately. Without this, it would be very easy to use the currently popular ‘Pulse MWD’ trick, scrambling the capital with another ship to turn off its MWD mid-cycle, resulting in it immediately going into warp due to the change in max velocity. This will still be abusable if the WCS strength of the MWD is lower than the ship its fitted to, so I’d recommend making them require more ‘points’ to disable them than anything they can be fitted to. It also allows for a unique attribute to exist that can be varied on different meta level modules. HIC points of course, should shut down capital scramblers immediately, allowing HICs to preserve their role as the premiere source of hard tackle on capitals and supers. What do you think the innate WCS strength of supers and titans should be and why? As opposed to talking actual numbers, let’s talk balance. Should titans be more difficult to pin down than supers without the use of a ship specifically intended to tackle them? I’d say yes. Titans have almost no defense against subcapital ships at present. Even with High-Angled Weapons, they’ll only really be able to hit targets at least as large as a battlecruiser without support. This leaves a titan with no ability to break tackle on its own. This stands in stark contrast to a supercarrier, which will likely have neutralizers, a remote ECM burst, and fighters, all of which are extremely useful for breaking tackle. Why should I care, though? Aren’t titans supposed to be used with alliance-level support fleet? No, I don’t think so. Driveby titans, for example, would be hit hard. Supers will ultimately be easier to tackle, and so will titans with the advent of these changes. Most will be somewhat okay with that, especially with supers given their ability to engage tackle, but making titans too easy to tackle could be the end of driveby Doomsdays and titans being used with minimal support. Whilst some may not see it as a bad thing, giving titans these kinds of low-impact perks stops them being ‘overpowered’ whilst ensuring that both incentives and opportunities for titan pilots to use their ships still exist. The focus group has been extremely slow since mid-December. Many of its members have now come to the understanding that we’re here to balance what is presented to us in a constructive manner, rather than throwing a hissy-fit and stomping our feet in protest of proposed changes. Heated discussions on various topics have taken place prompted by our own poking around and throwing ideas into the pit. Input from CCP has been understandably little over the holiday period, though CCP Larrikin is now back after a well-earned break and has resumed his work with the group. Discussions on refitting were pretty intense; naturally it is a hot topic for the majority of the group. 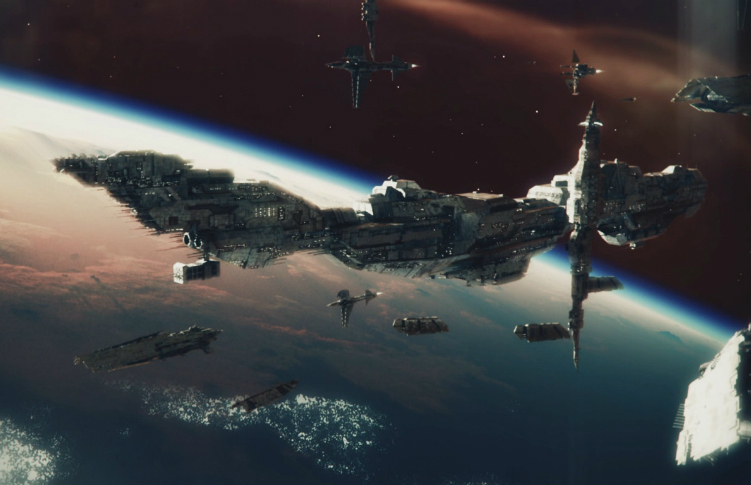 We came out with some rough ideas as a somewhat ‘happy medium’ between current mechanics and CCP’s proposed changes, mainly revolving around our desire to move any restrictions on refitting away from the aggression mechanics system. Our attempts to gain decent community feedback on this were rather unsuccessful, and the general response was that they didn’t want refitting to change at all. While understandable, this sort of input is entirely unhelpful when trying to present a reasonable balancing alternative to what is currently proposed. The reaction on this was pretty heated and largely directed at the focus group’s members who joined in on the discussion. It’s fair to say many of the group are now far less keen to reach out to the wider community beyond their own social network. On a slightly unrelated note, many of you may have noticed the dumps from the Chaos test server have included some interesting stats. Examples of this are the names, velocities, and so forth, for the new light/heavy/support fighter classes, the damage statistics on the Doomsday fired by XL citadels, disruptor-like modules that impede remote assistance effects, and the addition of the new ‘Skillpoint Scraper/Injector’ items. With this sort of thing coming out largely unannounced, and only being visible due to posts on reddit several days after the DB changes occurred, several members have voiced their concerns to one another that there’ll be a huge dev-blog that we can’t see coming with a lot of horrific changes on which we’ll be asked to provide feedback. It is worth remembering that the focus group aren’t meant to be game developers, but are merely here to provide expert-level feedback. Pandemic Legion FC, supercapital hunter, capital focus group member and casual smug-poster.